It's back! The huge Coverking savings you've all been yearning for. Whether you've already put your favorite ride away for the approaching fall weather or are enjoying a slightly warmer climate that happens year round, now is the time to take advantage of this deep 17% discount on all Coverking products available now through September 1st! 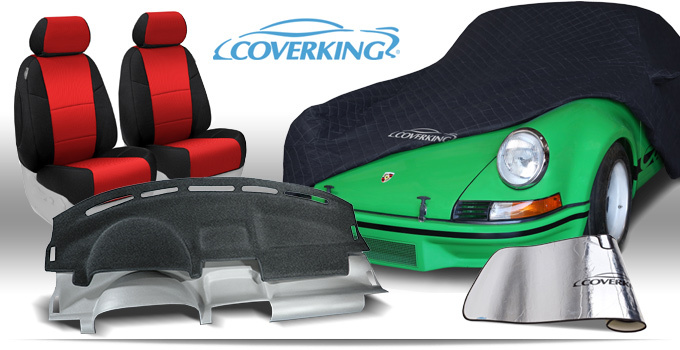 Take a tour of our newly revamped Coverking wizards for all car covers, custom sunshields, seat covers and even our newly added molded dash covers below. Make sure to use promo code COVER17 at checkout to redeem this sizzling offer today! Last edited by Luccia at Pelican Parts; 08-21-2017 at 07:42 AM.